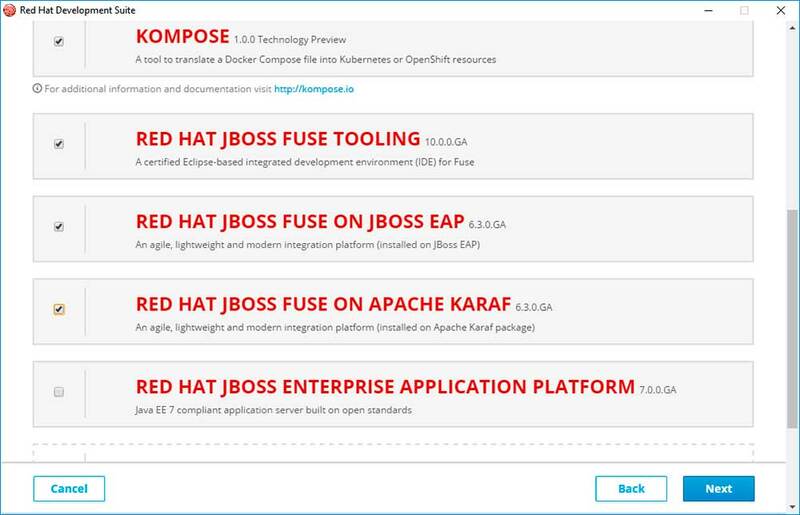 Red Hat JBoss Fuse is an open source, lightweight and modular integration platform that allows you to connect services and systems across your entire application portfolio. 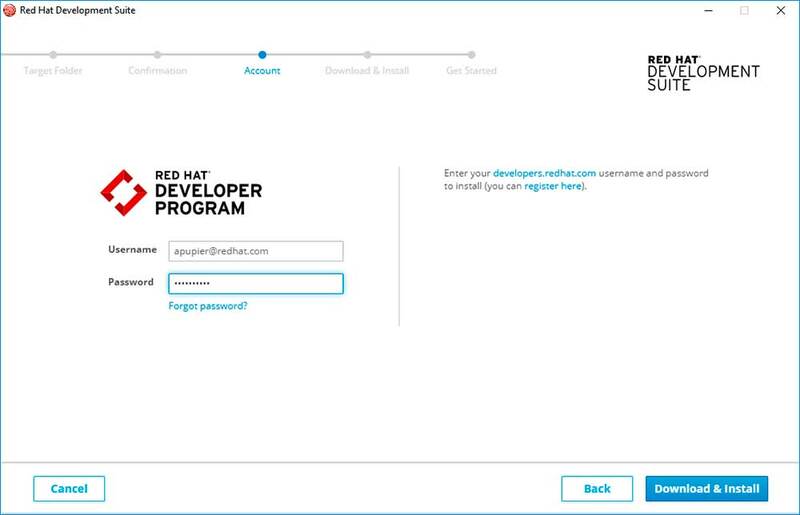 If you’re familiar with Fuse, you’re probably familiar with the Fuse Tooling that comes with Red Hat JBoss Developer Studio. 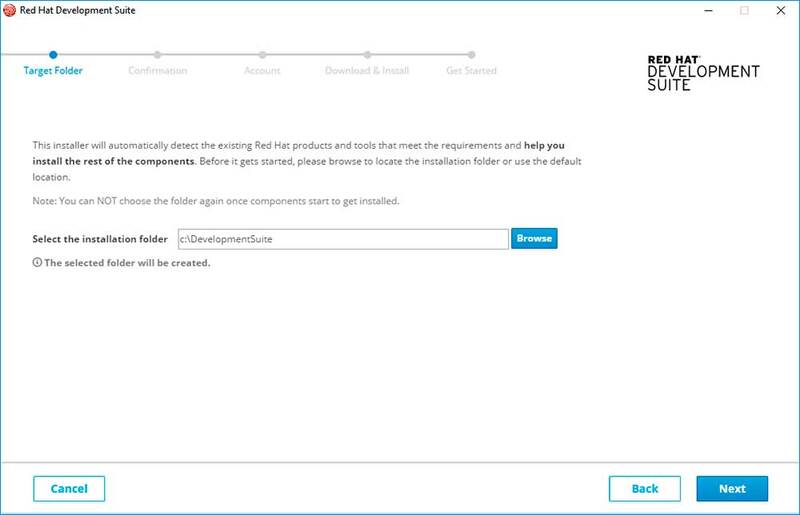 If you read carefully the last announcement for Red Hat Development Tools, you may have noticed that Fuse Tooling and Fuse runtimes are now part of Development Suite. That new feature might seem like a small update but, in fact, it greatly simplifies setting up a Fuse development environment for Windows and Mac users. 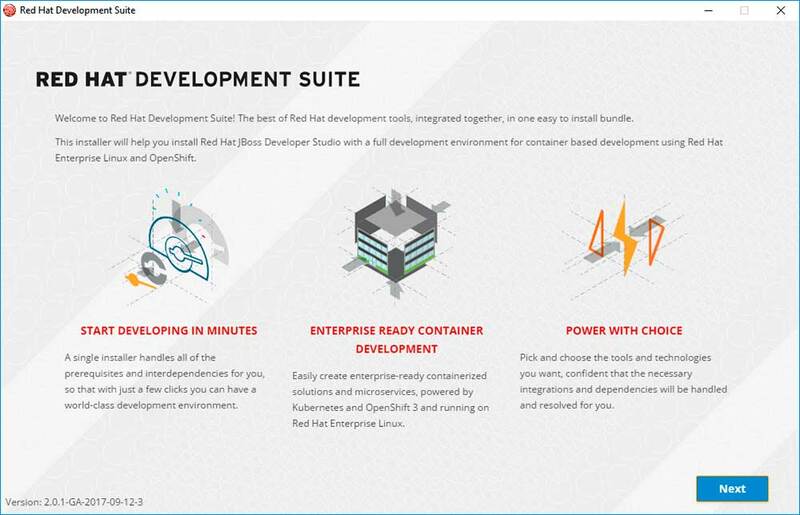 By using the Development Suite installer, users are now just at few clicks away from installation of all possible deployment runtimes for Fuse locally (Karaf, EAP and OpenShift). These runtimes are even preconfigured to be used with Fuse Tooling. Let’s take a closer look at how easy this is. A last note for Linux users, please follow the steps indicated on Fuse Hello World page.